OHSWEKEN, Ont. 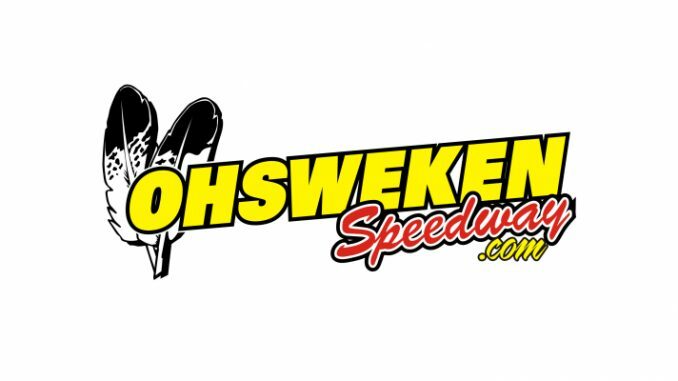 (July 17, 2018) – Ohsweken Speedway is eager to return to action this week with one of it’s most highly-anticipated shows of the season. Jibs Action Sports presents Christmas in July and Autograph Night featuring the Patriot Sprint Tour versus the Kool Kidz-Corr/Pak 360 Sprint Cars. As part of the track’s annual Christmas in July night, fans are encouraged to bring a new, unwrapped toy to help support underprivileged children at Christmastime. Santa Claus will be on hand at the track to help collect all purchased toys. All fans who bring a new, unwrapped toy will receive half price adult admission and will enter the speedway for $7. All kids in attendance will have the chance to win special prizes from Jibs Action Sports, including a skateboard, a scooter and a BMX bike. Fans will also have the opportunity to meet their favourite drivers on track at intermission for hero cards, photos, candy and other unique giveaways as part of Autograph night. On the track, the night features the first of two challenge races this season for the Kool Kidz-Corr/Pak 360 Sprint Cars as they welcome the Patriot Sprint Tour for the first race of their Canadian Triple Threat weekend in a $3,333-to-win event. In addition to the Patriot Sprint Tour versus Kool Kidz-Corr/Pak 360 Sprint Cars challenge, all three of Ohsweken’s other weekly divisions will also be in action, including Strickland’s GMC Crate Sprint Cars, Middleport Mechanical Thunder Stocks and the HRW Automotive Mini Stocks. The New York-based Patriot Sprint Tour makes its only stop of the season at Ohsweken on Friday night to take on the Ohsweken regulars in the Kool Kidz-Corr/Pak 360 Sprint Cars. The night kicks off a busy tripleheader weekend for the Patriots, who will also stop at Brockville and Cornwall speedways on Saturday and Sunday, respectively. Ohsweken is expecting several outside invaders for the busy weekend of Canadian Sprint Car racing to challenge Ohsweken’s best on their home turf. Entering this weekend’s show, Dylan Westbrook now holds a 61-point advantage over Cory Turner after claiming his sixth Ohsweken win of the season last Friday night. Jim Huppunen is locked into third spot, 18 points behind Turner while Mack DeMan has moved into fourth and trails Huppunen by just two points. Tyler Hendricks rounds out the top-five and sits just three points behind DeMan and is five back of Huppunen. After nine races, Chuck Hebing of Ontario, NY leads the Patriot Sprint Tour’s point standings over Harding, PA native Jordan Thomas. Paulie Colagiavanni of Cicero, NY is third and head of Wayland, NY’s Kyle Drum while Vernon, NY’s Pete Richardson rounds out the top-five. This week’s event is show-up points only for Ohsweken Kool Kidz-Corr/Pak drivers and for Patriot Sprint Tour drivers. St. Thomas, Ont. driver Jesse Costa continues to lead the Strickland’s GMC Crate Sprint Car standings and now holds a 35-point advantage over Shone Evans. In third is the reigning division champion Holly Porter, 11 points back of Evans. Lucas Smith fell to fourth in the standings after his first DNF of the season last Friday night and is now 9 points back of Porter. Hannah Ferrell holds down the fifth and final top-five position. The Middleport Mechanical Thunder Stock division continues to have a tight battle at the top of the standings. After his second place finish last race, Dave Bailey has retaken control of he top spot and now holds a lead of just nine points over Ken Sargent. Logan Shwedyk fell to third in the standings with a 12th-place finish last week, but remains within striking distance of the lead at 17 points back. Jim Lampman currently holds down fourth, but is just two points ahead of fifth-place Billy Bleich Jr. entering this week’s action. The HRW Automotive Mini Stocks have the closest of the four points battles as Ohsweken races into the second half of July. Gillian Hils and Nick Masi now sit tied for the division lead at 573 pints apiece. Also in the mix is third-place Sean Iftody, just 10 points behind and last week’s winner Dusty DeBoer, who currently sits fourth and just 16 points off the lead. Matt Nuell rounds out the current top-five and is 32-points back of the lead.